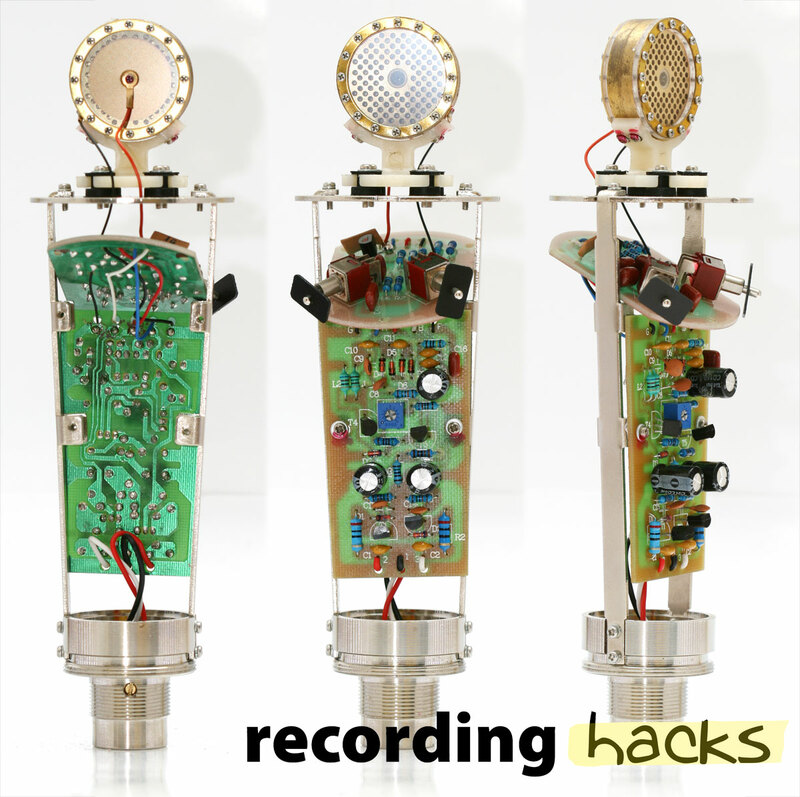 Mod options for the MXL 992 include: replacement capsule, upgraded circuit components, and a Neumann-style grille. 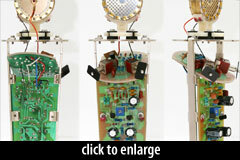 Find out more about MXL 992 mods from microphone-parts.com. The MXL 992 is a large-diaphragm condenser mic with a transformerless circuit and a 32mm K67 capsule. It is essentially a large-body version of the MXL 2006, with the addition of switchable pad and filter. The capsule is MXL’s standard model, a K67 type with 32mm backplates. Only the front diaphragm is metallized. The mounting post is insulated from the capsule deck via rubber grommets, to reduce the influence of mechanical vibration. The circuit is based on MXL’s standard transformerless design, implemented on two through-hole PCBs. The JFET is a 2SK170, with the gate pin soldered directly to the capsule lead without a coupling cap. The switchable 10dB attenuator is noncapacitive, but does not actually increase headroom within the mic. Rather, it simply cuts the mic’s output level by 10dB. MXL’s published noise spec is 10dBA, although the specifications also show a s/n ratio of 80dB, which would suggest a noise floor of 14dBA. For reference, the 2006 (which uses the same circuit and capsule) has a noise spec of 16dBA. One difference between the 992 and the 2006 that could influence the noise floor is that the 992 uses a higher polarization voltage: 70VDC, in the sample we tested, rather than ~45 as is typical of transformerless MXL microphones. The higher polarization voltage raises the signal level without raising the noise floor, which effectively reduces the noise level. The 992 has a trimpot on the main circuit board; it can be used to adjust the polarization voltage over a ~45VDC range. Counter-clockwise movement raises the voltage. The MXL 992 is part of the company’s “900 series,” sold exclusively through Guitar Center and its affiliated brands. The list price on the mic was $299.99 in 2005, while the street price was $149.99.